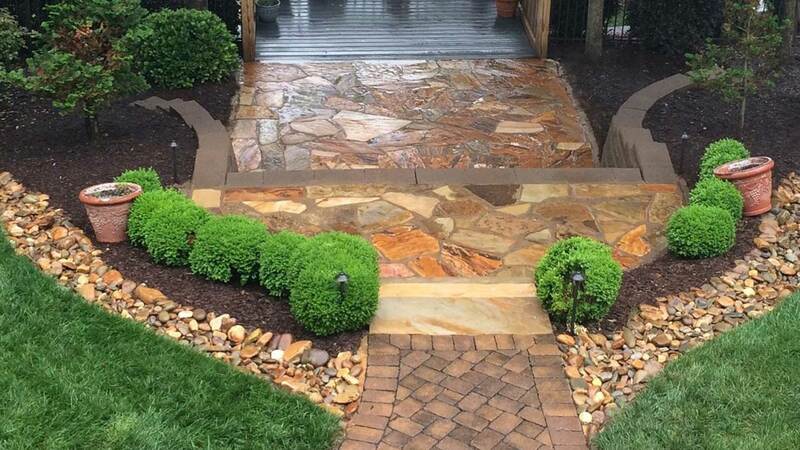 When you want a new walkway, patio, terrace, or other hardscaping project, call Lake Norman LawnScapes Supply to design and install your new hardscape project. We specialize in all forms of hardscaping from simple garden steps to complex patio layouts. Whether you want brick, tile, natural stone, or basic pavers, we will talk with you to understand your vision then design and build the project to your exact specifications. 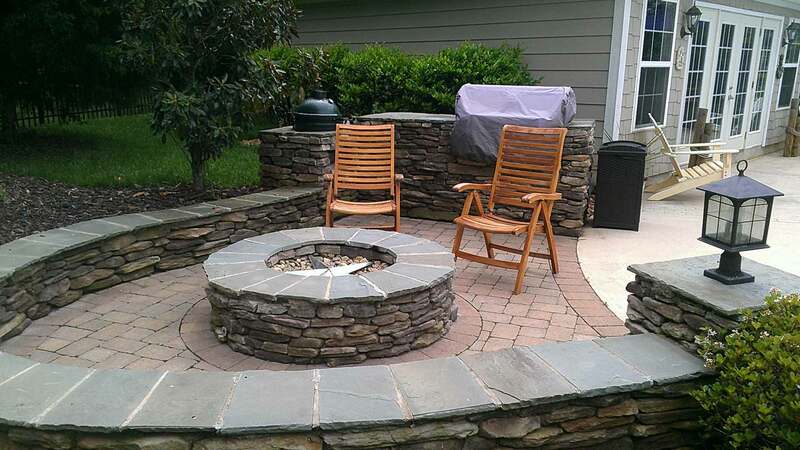 Over the years, we have garnished a reputation as one of the foremost hardscaping experts in Cornelius. Lake Norman LawnScapes Supply, Inc. has a variety of quality mulches for you to choose. You pick up or we can deliver! Installation services are also available! Serving the Lake Norman and surrounding areas (Mooresville, Denver, Huntersville, Davidson, Troutman, Statesville). Get back to nature with an outdoor space that is both inviting and stylish. 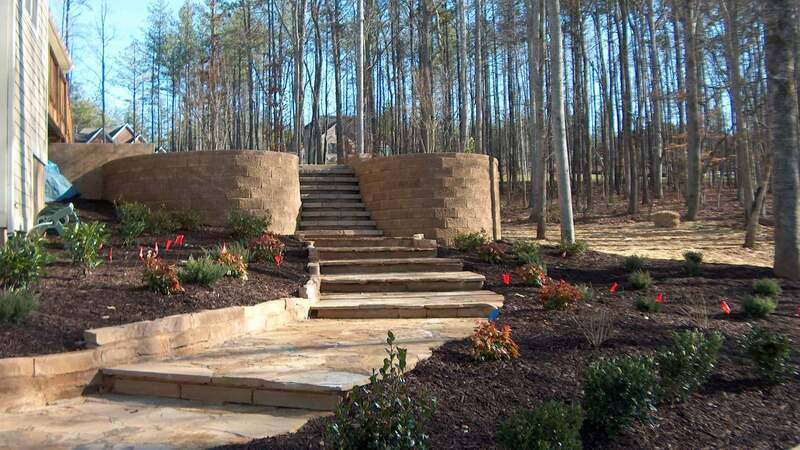 Utilize natural slopes of the terrain to produce awe-inspiring architectural artwork with retaining and freestanding walls that beautify the Earth. With a wide range of shapes, colors and textures available, you can mix and match to create unique works that enhance natural surroundings and often turn what was once unusable space into a focal point. Is your landscape missing something? No landscape is complete without a hard surface where you can host a barbeque, relax poolside, or enjoy the outdoors. If you are looking to get a patio or pool deck installed in your backyard, you should consider pavers from Lake Norman Landscapes. At Lake Norman Landscapes, we carry a variety of sand and gravel for a wide range of uses, such as base preparation, drainage, and driveways. As many lake properties that there are on Lake Norman, white beach sand is a beautiful accent to the waterfront and a great place to enjoy time with friends and family. Decorative rocks are one of the easiest ways to enhance the appearance of your Cornelius landscape. Available in a wide range of colors, shapes, and sizes, decorative rocks can be used for something practical, like a pathway, or for aesthetics purposes, such as around a fire pit. 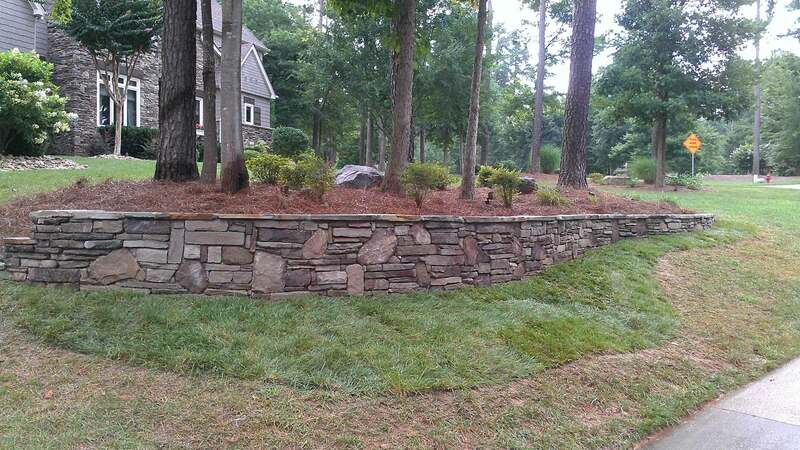 When you want the wow factor and the ranges of colors, here at Lake Norman Lawnscapes, we have a wide variety of natural stones from up and down the coast. Between your vision and our 20 plus years’ experience, we can dramatically enhance your living area. Natural stone patios around a pool or deck is a beautiful accent and add value to your home.